Travel with the Low Canadian Dollar. Having a bad case of wanderlust and being Canadian isn’t easy right now. The Canadian dollar has plummeted which means that we are pay up to 30% more for things, that includes travel. But, just like me, Canadians are still showing a keen interest for travel in 2016. In fact, according to a recent national survey commissioned by Expedia.ca, 64% of consumers surveyed are planning to travel this year – of those travelling, 61% are planning to travel closer to home. Unfortunately, 83% are just sighing and wishing they could be traveling this year. The value of our dollar has made a noticeable impact when it comes down to how we travel. 73% selected ‘where to travel’ is being impacted. For example, 51% said that the ‘number of trips in 2016’ is being impacted, 42% selected ‘duration of visits’ has changed and 32% selected ‘mode of travel’ has changed as well. Furthermore, low economy air ticket prices are expected to remain a trend in 2016. Low air ticket prices? I’m in, that alone makes it attractive for me to book as a consumer. So, where are Canucks traveling to this year? Most are staying in their very own back yard with top destinations being: Toronto, New York, Vancouver, Montreal, Niagara Falls and Orlando. One way to help you take your dollar further is to consider travelling to destinations where the Canadian dollar has longevity. Some destinations like Asia and Eastern Europe, where there are bountiful breathtaking sights to see and plenty of affordable food options. It’s no wonder they are hot spots in 2016. 2. Book on Tuesday or the Weekend! Yes, Tuesday! I have found some great deals and sales on Tuesdays but, mostly the weekends tend to have AMAZING deals. Of course, this isn’t written in stone. If you find a deal anytime of the week–make sure you snag it quick! You are sure to save money when you book your flight along with your hotel accommodations. When you book packages through Expedia.ca you can save up to $300 per booking. That’s a lot of cash and almost always how we book our travel. There’s no getting around the savings that you can get, it works! 4. Plan and Book Ahead. If you’re traveling in North America, it’s best to book roughly 57 days in advance. You can potentially save up to 10% versus the average fare for an economy ticket. Whether you are planning a quick trip to Niagara Falls or paint the town in New York, you’re going to need this tips to get you there! I think one of the keys to travel and to travel often is the power of knowledge. The more you know the more you are able to save. It’s always a good idea to keep your eyes on trends and your ear to the ground when it comes to which destinations are affordable when the dollar drops in value. That way, you can still go and make memories and really get the bang for your buck! Knowing how to compare prices of air travel, hotel and car rentals versus purchasing a package on Expedia can make all the difference too. If you follow the tips and strategies above, you’ll definitely be able to travel this year! The love for travel doesn't seem to pay any attention to my bank account. These are great ideas for saving. Although I'm not in Canada, I still need to take advantage of bundling deals. Amen! Always a great idea to bundle. It never hurts to save a little extra when you're traveling! The last thing you want to worry about on vacation is going over budget! They really are, you just have to dig. These are all great pointers. I did not know the Canadian dollar was that low. For me if I can find a way to travel is the structure but I will do it. At the moment it is, hopefully it takes a turn soon! Thanks for the great information! We'll be headed to Canada soon to visit friends. These are awesome tips. For us, bundling has saved a ton of money. We always check for bundle pricing no matter what we are in the market for. It's great for traveling when you need a flight, hotel and rental car. The prices on their own add up quick. These are great tips!! I had no idea that the Canadian dollar is lower. It is right now unfortunately! Those of us here in the US certainly know your pain. These tips are great, especially since we love to travel and are thinking about visiting Costa Rica next. Costa Rica is incredible. One of the best places I have ever been! My husband and I have travel to Asia, Europe and South America but we haven't been to Canada together. You've inspired me to get a Canadian trip on the calendar! Interesting. I don't use the Canadian dollar but I did go to Canada once. I think at the time you got less for the Canadian dollar then the American dollar. I could be wrong. But I know my friend would come to America to buy her electronics. I'm rambling. Thanks for this info. I use Expedia all the time. Didn't realize they were helpful outside of booking a hotel room! Yes, it is usually really great to go to the US. Just lately that our dollar has dropped! These are all great tips, I have never been to Canada and so not familiar with that area at all but know I can drive about maybe 3 hours and be at the border of Canada. Thanks for these suggestions on traveling with the low Canadian dollar. 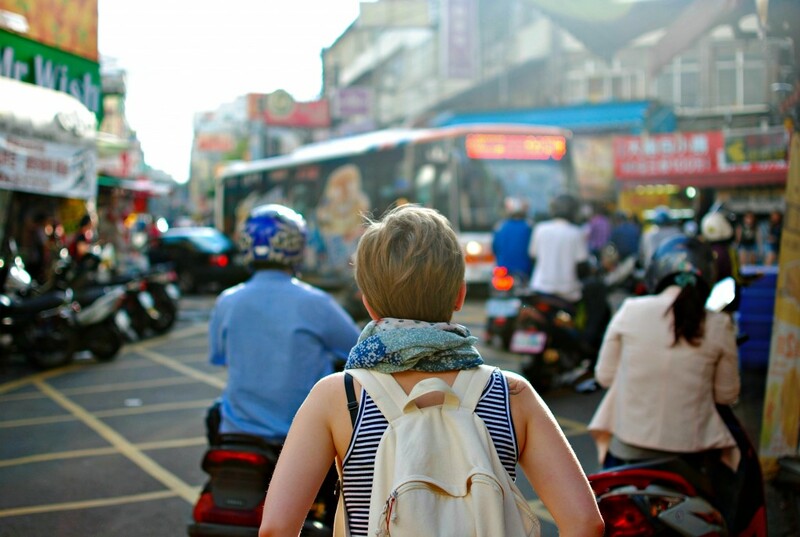 Even when the dollar isn't low, these are good tips to make good choices when traveling. I have a friend who flies cheap – like super cheap – being on top of these strategies. Thanks, I hope they are helpful. They really are great to save any type!